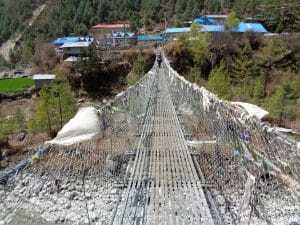 My report from my 22nd trek into Everest Base Camp: After 14 years of trekking into the Everest region a few things have remained the same and lots of changes positive and negative. 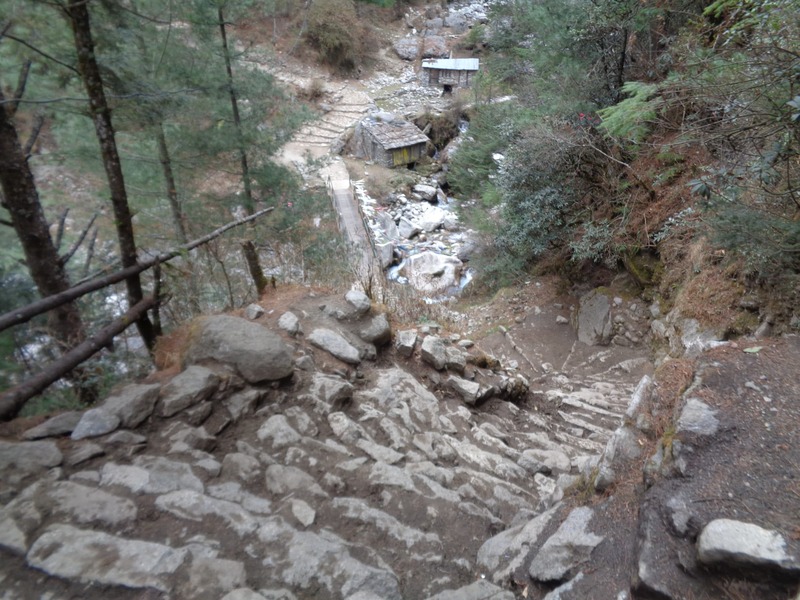 The local people gain greatly from trekkers and climbers venturing into the region, but unprepared trekkers are causing problems. I have never seen so many helicopter rescues. The scenery is just as spectacular and even more appealing as the years go by. I am still convienced that Late March, April, late September, October and November are the best times to make this journey. 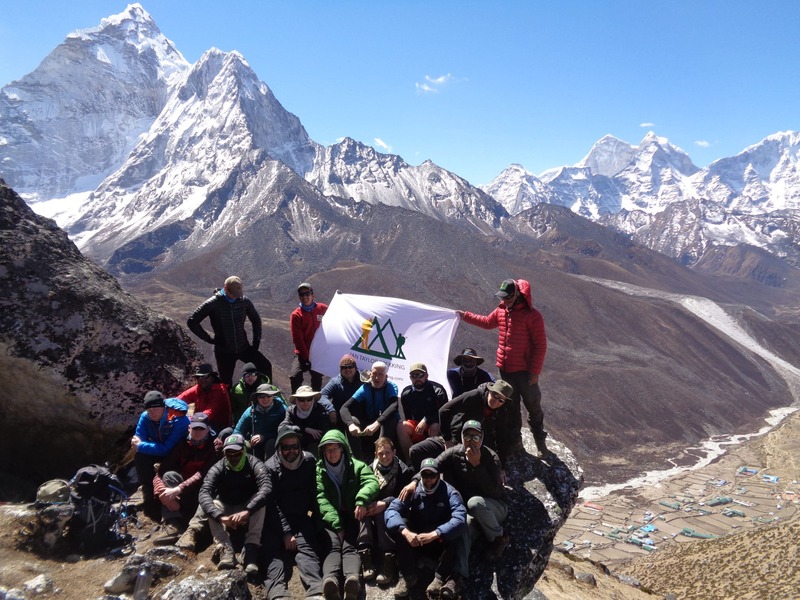 We have had 5 groups in the region so far this year all successful with only a few people not making the journey due to altitude related issues. 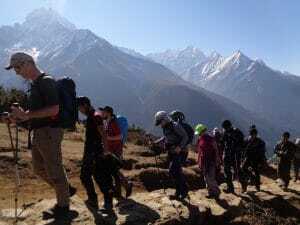 The weather from our recent trek was amazing all the way in and out of Everest Base Camp and the group really got to experience the best views of the mountains without the heat haze that May brings. The challenge for a lot of people is they forget you have to walk up and down thousands of steps some days covering 5 miles, 8 miles and some 13 mile days up and down hills. 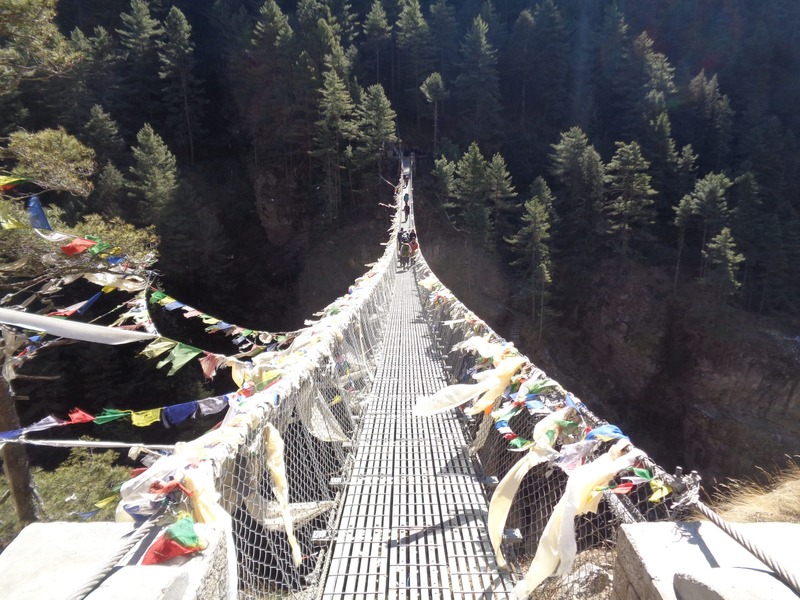 Check out our daily distances on the Everest base camp trail. We can help you get the training information you need to excel on the trail and make sure physical fatigue is minimal throughout the long journey at high altitude. 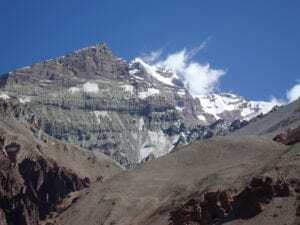 You need to be training 5 days a week and one of those days should be up to 5/6 hours per session before coming on this trek. 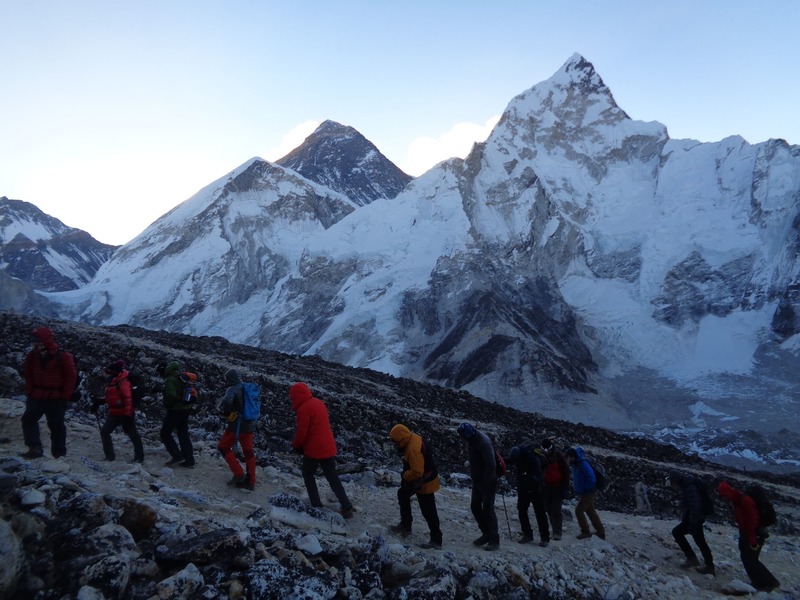 Check out our page that covers all you need to know about trekking to Everest Base Camp. We are always available to our clients, helping them get the best information, advice available. We really want people to have all the information so they can show up ready and prepared for the journey of a lifetime. Our group was comprised of Irish, American’s, Australian’s and New Zealand. Our team was full of interesting and amazing people. All had worked hard to prepare for the adventure. 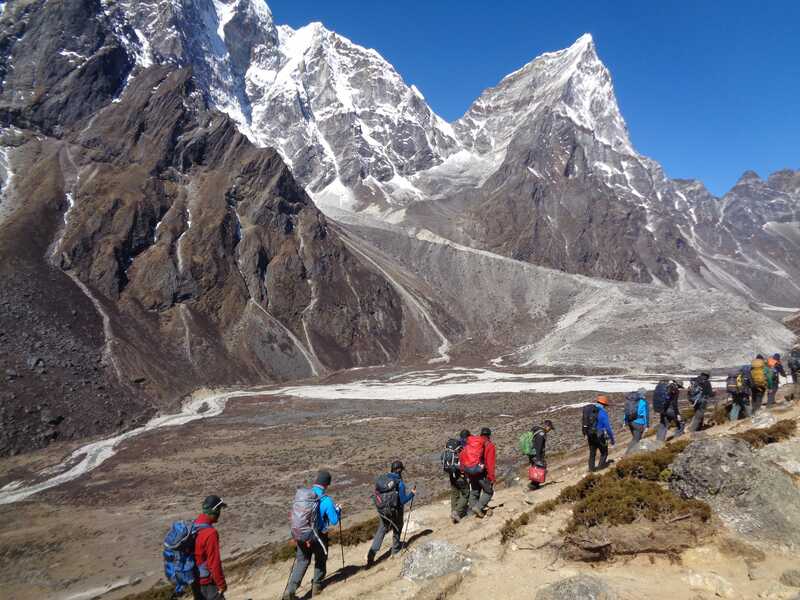 This always makes our job easier and we do require people come prepared for the trek and we reserve the right to turn people around at any stage, if we feel they have not come adequately prepared for the trek. 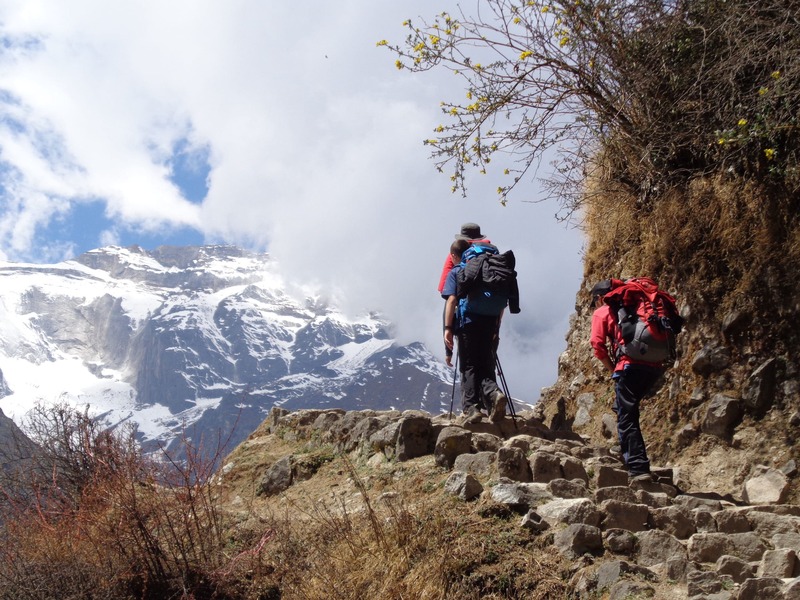 On most days of the trek you will be hiking up 500m/600m or 1,600 feet/ 2,000 feet. Remember this is done in a low oxygen environment so you should be doing more than this in your training and preparation for the trek. We were unlucky to only have 2 nights in Namche Bazaar. 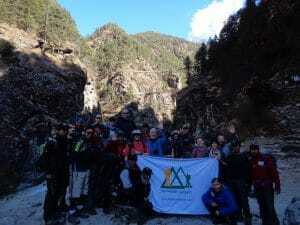 Half our team make it to Lukla and the other half came in the following day. 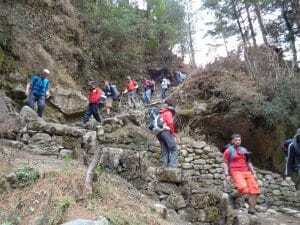 This meant we did not have the time allowed for our normal 3 nights in Namche Bazaar as we had to keep moving forward. 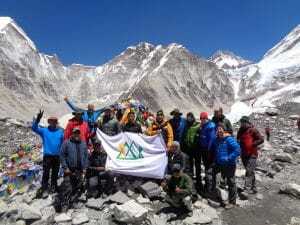 On day 6 we reached Dingbouche 4,410m and the weather was still amazing and getting better as we moved higher. The whole team were doing well at this point. One of our Island peak climbers had developed a cold, someone had coughed in his face lower on the trail and this spread to other team members. 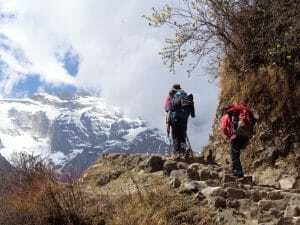 Another team member was having shortness of breath and pain in his throat so after our acclimatization hike he needed to be evacuated to a lower elevation. By the time we got to Gorak Shep 5,180m after all reaching Everest Base Camp others in the team had a number of minor altitude issues, shortness of breath, colds, headaches, nausea and stomach related issues. 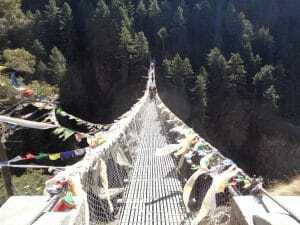 These are all normal at high altitude and you need to be prepared for some level of discomfort. Learn more about altitude. 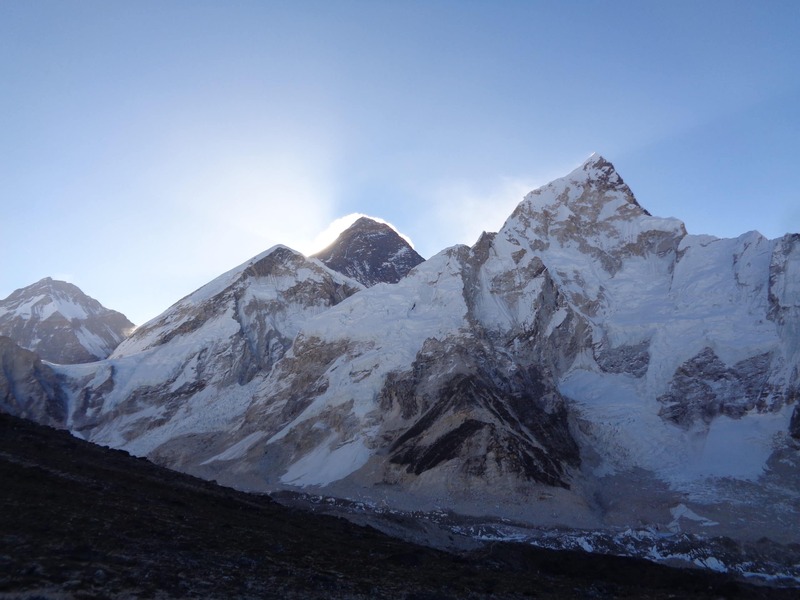 One of our team picked up a very nasty cold in Gorak shep and it was debilitating and needed to get lower fast. He was struggling to move so needed to be helicopters back to Kathmandu for treatment. The rest of the team woke early for the Kala Phatar challenge we all made the 2 hour hike up for the great and world class view of Mt. Everest and surrounding mountains. This is what we come for, a very special spectacular scene right out across the Himalaya’s from 18,000 feet high in the sky. Check out our 2018 or 2019 treks to Everest Base Camp.